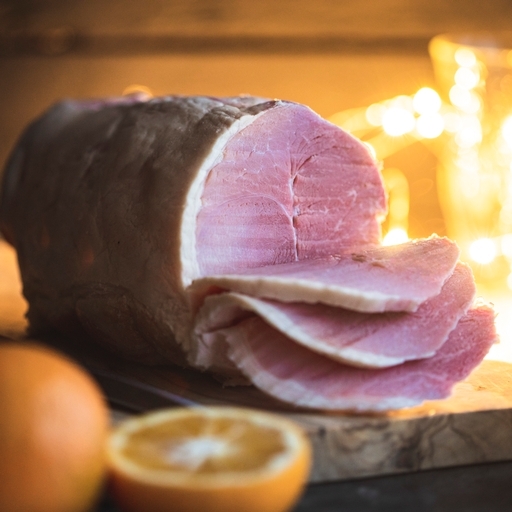 Our organic ham is cured and matured until the meat is as rich and tender as can be, then slow-cooked to perfection. Ready to eat and partially boned for easy carving. Excellent for leisurely lunches as you eat your way into the new year. We deliver our meat in insulated packaging to keep cool on your doorstep if you’re out. Keep in the fridge and use by the date on the label. Eat within 3 days of opening. Pork, sea salt*, sugar, preservatives (sodium nitrite*, potassium nitrate*).